Multiplication is a mathematical operation that indicates how many times a number is added to itself. Multiplicand is a number that is to be multiplied by another (the multiplier). 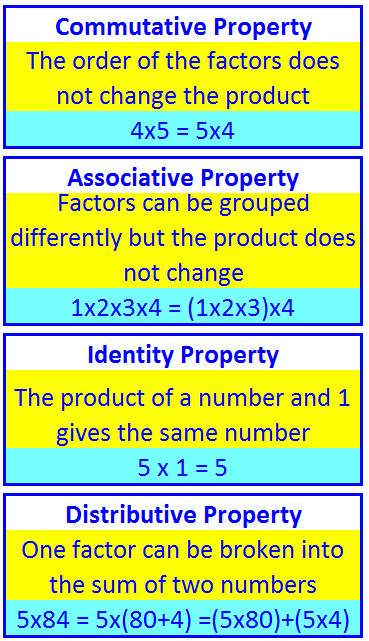 Product is the result of multiplying two (or more) numbers, for instance, 10 is the product of 2 and 5. Factors are the numbers that are multiplied together. In this method we multiply the multiplicand by each digit of the multiplier and then add up all the properly shifted results. Step one: Multiply by ones digit to get the first partial product. Step two: Multiply by tens digit to get the second partial product. Step three: Multiply by hundreds digit to get the third partial product. Last step: Add all partial products together to get the final product! In this example, we multiply by the units and the tens separately. On a separate sheet of paper, multiply and check your answers.